I am sure this is what the Mayans had in mind when they predicted the end of the entire world and unthinkly spawned an audience of credulous idiots. Of course when I say “what the Mayans had in mind” what I actually mean is no they didn’t. Really really didn’t. 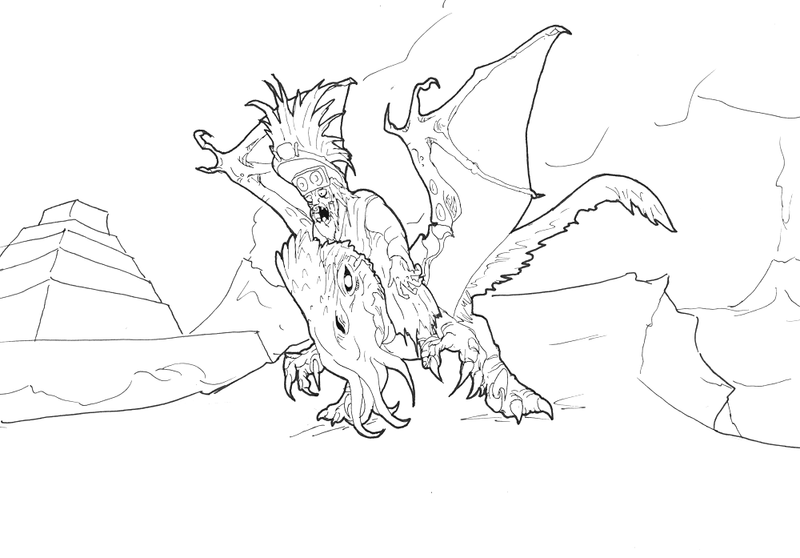 This entry was posted in Scanned Desksketch and tagged Cthulhuraptor, Jesus, Mayan by Anthony. Bookmark the permalink.